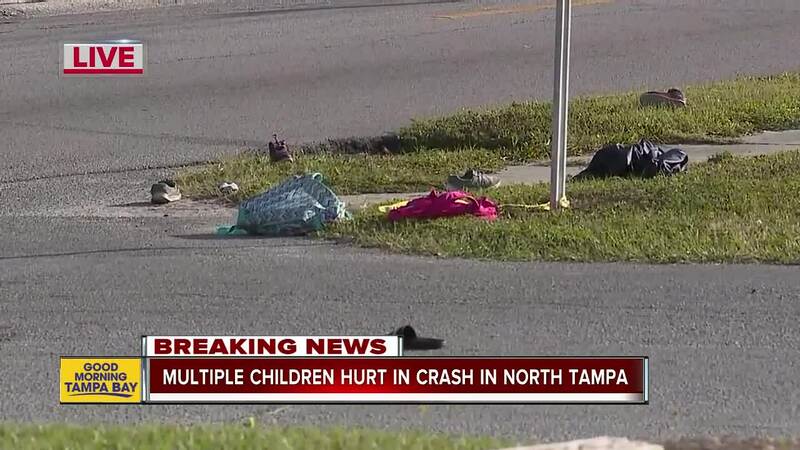 Police are investigating after seven people, including five children, were injured after being struck by a vehicle while waiting at a bus stop in Tampa. 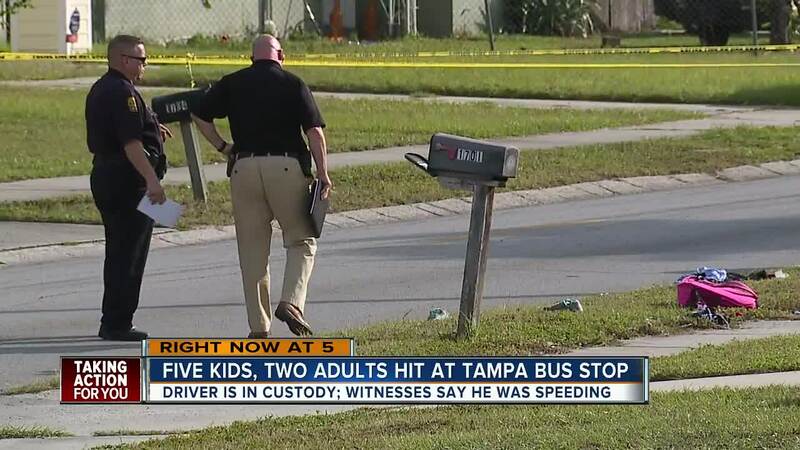 TAMPA, Fla. — Police are investigating after seven people, including five children, were injured after being struck by a vehicle while waiting at a bus stop in Tampa. Police and Fire officials say the crash happened just after 8 a.m. at a school bus stop near N 16th Street and Bougainvillea. Mayor Bob Buckhorn responded to the scene Thursday morning. 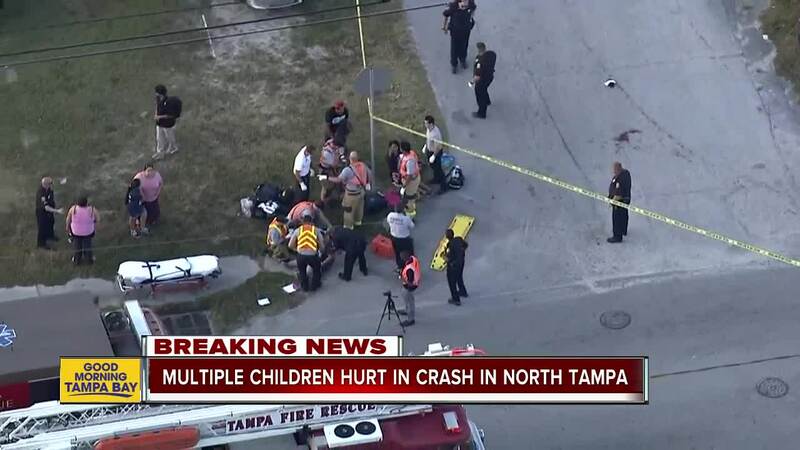 Tampa Police say that seven people; five children and two adults, were sent to the hospital. Two of the children sustained serious injuries. None of the injuries are considered life-threatening at this time, police say. The victims have been identified as Alexandra Torres-Banegas, 6, Allinson Galindo, 6, Enrique Antonio Tobias Patino, 6, Sandy Quintana, 9, Perla Galindo, 12, Yanely Jurado, 31, and Laura Patino Chavez, 32. Witnesses tell police the vehicle was traveling eastbound on Bougainvillea at a high rate of speed before hitting the pedestrians on the south side of the street. The driver is on scene and cooperating with police. At this time, the driver has not been charged. Several backpacks and clothing items are spread around the scene. All of the children are students at Woodson PreK-8 Leadership Academy. Principal Ovett Wilson spent the day at Tampa General and St. Joseph's Children's Hospital, checking up on the victims and their families. He said they were all in good spirits and were incredibly happy to see someone from the school showing up to show support. “That was the best feeling I’ve ever had. In a tough situation like this, seeing the student light up, seeing the parents light up, the family light up. It was a good feeling, just to lend a hand of support, to let them know that we are here," Wilson said. And that support, he said, extends to all students at Woodson. The district told ABC Action News they brought in extra resources. “We had several guidance counselors from all over. And onslaught of support came in to help our students, help our parents, help our faculty and staff get through this situation," Wilson said. 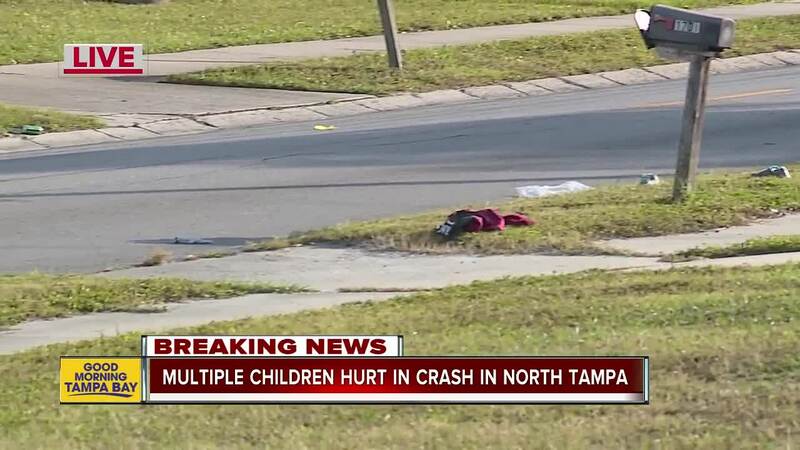 Tampa Police say the cause of the crash remains under investigation. "At this time it does not appear that the crash was intentional and it does not appear that the driver was impaired. 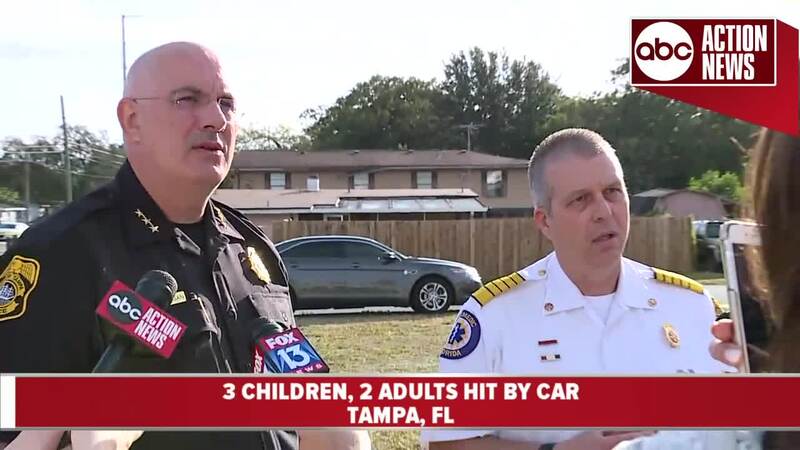 It is unclear whether the driver was speeding at the time of the crash, though a witness said he believed the car was traveling at a high rate of speed," Tampa Police said in a press release. Police say that charges are pending. Because of the speeding concerns, ABC Action News took a closer look at the data. This year, Tampa Police have not issued any speeding or reckless driving citations on Bougainvillea, on the stretch of road they examined near the crash. 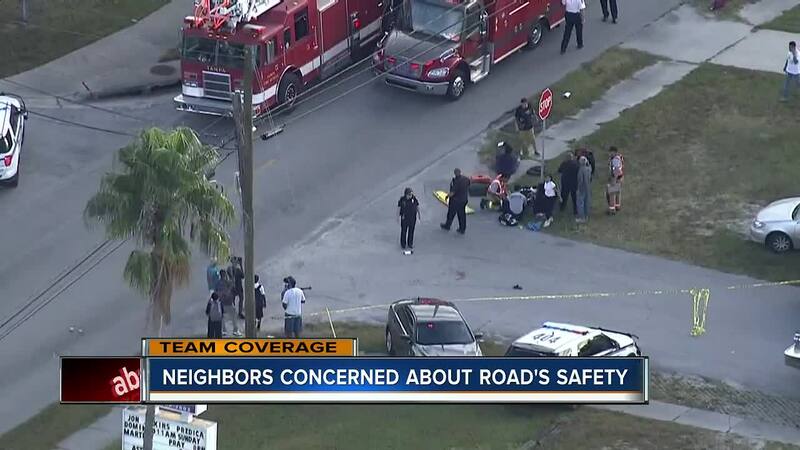 Breaking down overall crash numbers from the Florida Department of Highway Safety and Motor Vehicles, ABC Action News zeroed in on a 1.5-mile stretch of E. Bougainvillea between Nebraska Avenue and N. 3th St. In the state database, we found 32 crashes documented in 2016, 28 in 2017 and 20 so far this year. As for the 2017 number, the department says it is in the process of reconciling the crash fatality data, so the numbers may fluctuate periodically.